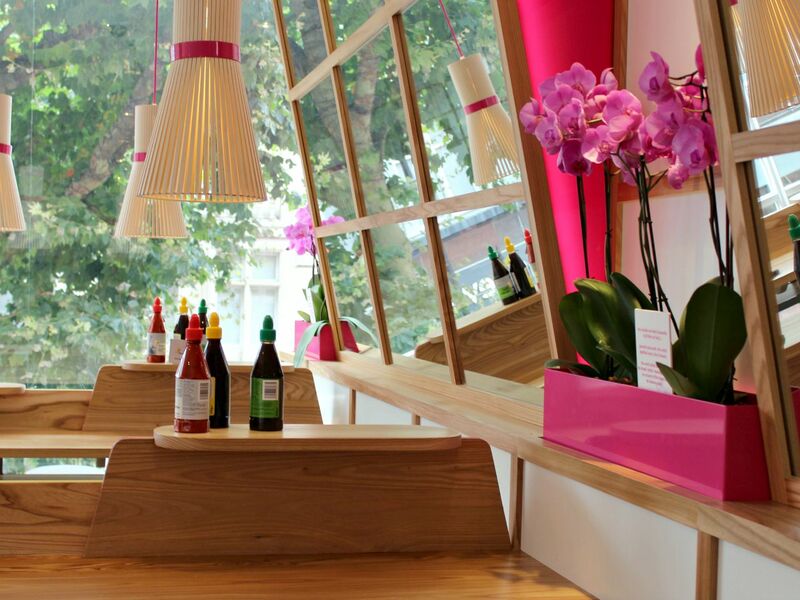 Itsu is one of those much coveted eateries that I thought was reserved only for those living in London. Their Reading branch opened at the end of August and I couldn't be happier. I've been really exited see their Eat Beautiful ethos put into practice. 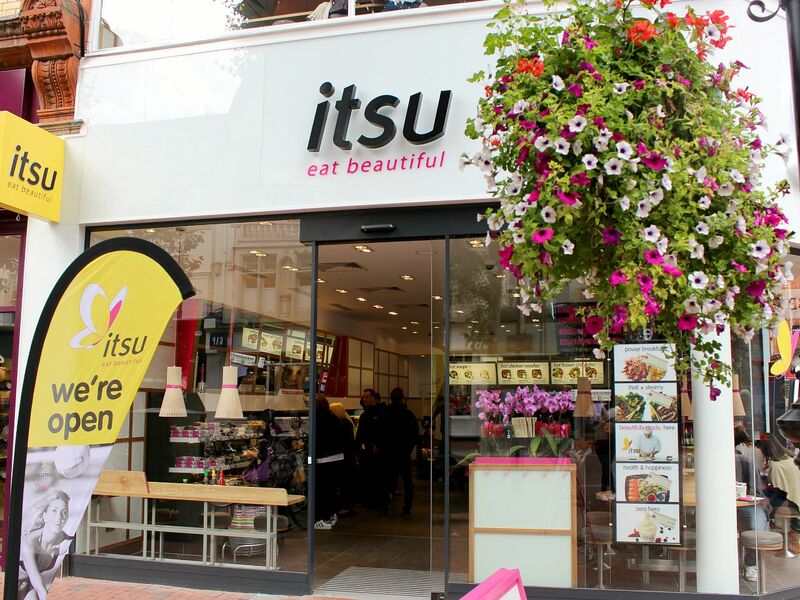 The new Reading Itsu store is located on the corner of Broad Street and Queen Victoria Street. The interior is in-keeping with the existing 50+ stores. It's bright and clean with elements of traditional Japanese buildings. The chain is owned by Julian Metcalfe, the founder of Pret. There is a similar importance about the freshness and nutritional value of the food on offer. You can expect to find salads, sushi and bento boxes that pack the protein without the calories or saturated fat. There's a great selection of healthy snacks too. It's also perfect for those of us who want to cut down on the wheat and dairy that we eat. 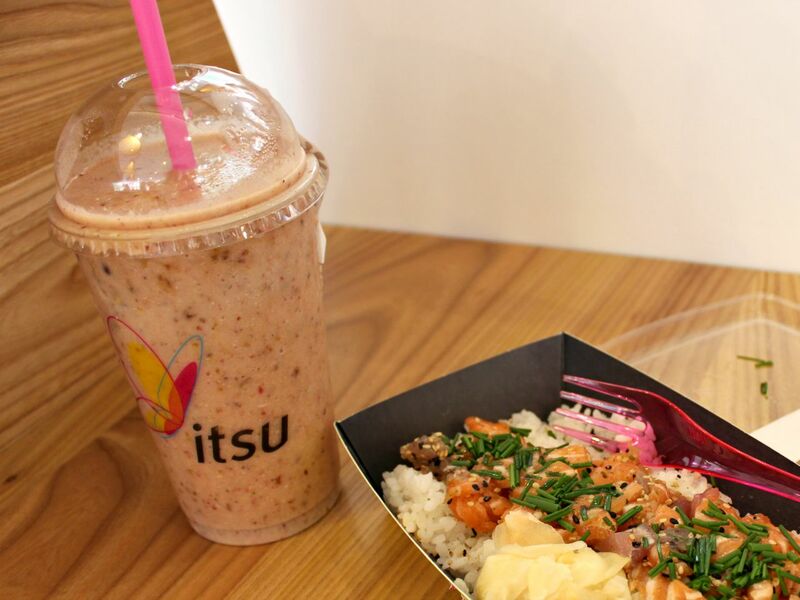 Itsu's beauty smoothies are packed full of goodness and look so beautiful on their shelf. I like that you can see exactly what's going into your drink before you take it to the counter to be blended with ice. I went for the dairy free fruit superseed beauty smoothie, a heavenly mix of coconut milk, dates, apple, strawberries, pineapple, banana and seeds. 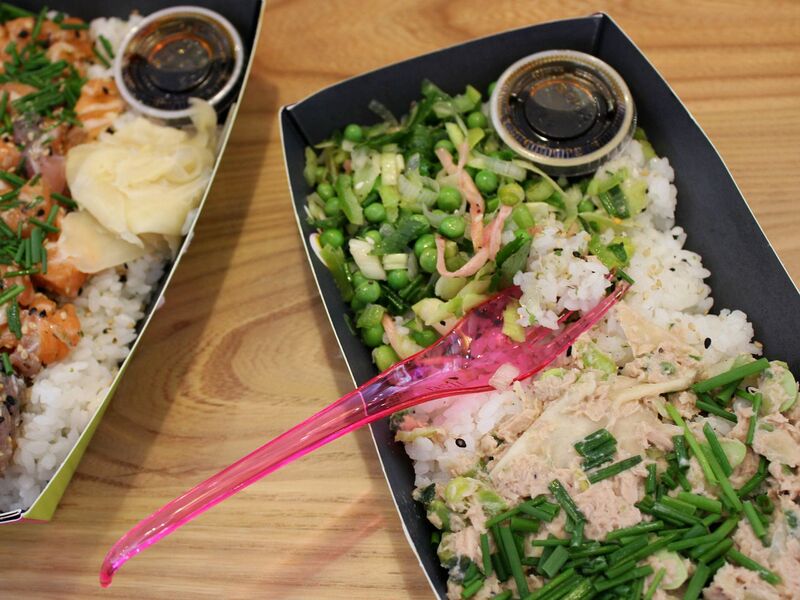 For food, we both decided to have one of the 'on a bed' bento boxes - different toppings on a bed of seasoned sushi rice. I chose the Salmon and Tuna Tartare and Mum went for Tangy Tuna. Mum's was rather heavy on the ginger, which I'm not a fan of, but I was assured that it was delicious. Mine was equally as tasty. Sashimi grade salmon and tuna, topped with chives and a side of teriyaki sauce is definitely a new favourite for me! It's really refreshing to finally find somewhere that offers lunch which fills you without feeling full. Everything was delicious and tasted incredibly light and fresh. Its great knowing that you can eat out and maintain a healthy lifestyle. I'll definitely be back for another of those beauty smoothies and I'm dying to try the Eggs Benedict from their new breakfast menu! 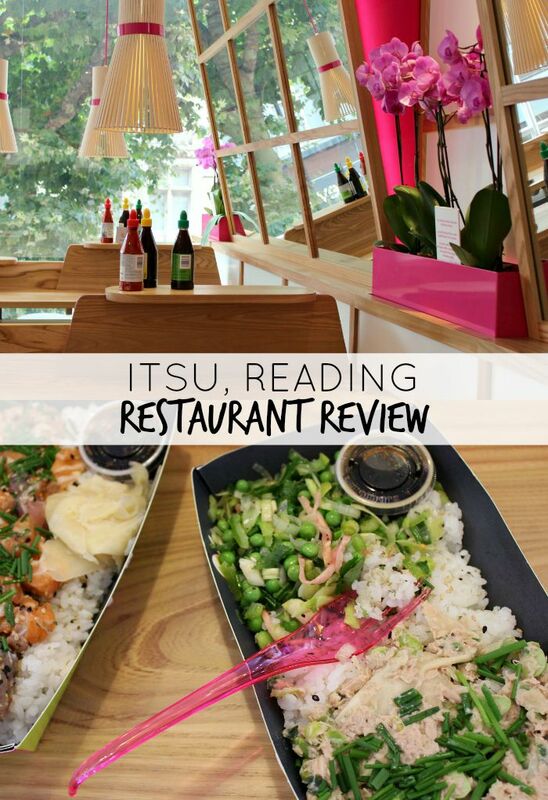 I was kindly provided with a voucher for Itsu for this post. 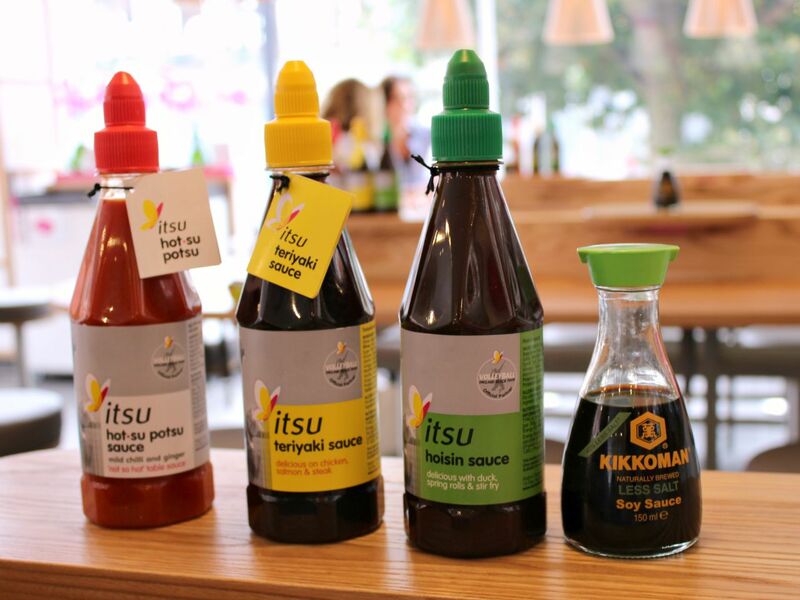 It's such a lovely Itsu isn't it, so happppy we have a local one now!